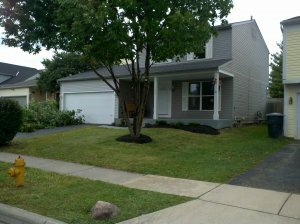 Columbus OH Rentals are all handled by a licensed Realtor! CORI LLC OH Rentals are Columbus best rentals with affordable rents and newly rehabbed rental units. CORI LLC’s OH rentals all have 24 hour 7 day a week maintenance. Our maintenance staff responds to all calls within 24 hours or sooner if at all possible. There are Central OH rentals available with leases from month to month , 6 months or yearly, depending on what you need and units available. Leave your contact information on the form below Or Call 1-888-815-5116. CORI LLC is currently positioning the company to acquire both multifamily and single family units in the urban areas of Central OH. These OH Rentals will be 2 to 3 bedroom townhomes and single family detached homes. The units will rent for $700 to $1200.00 a month and will be close to amenities. The units will be bought as under market value distressed properties and rehabbed to an ENERGY STAR green living, modern theme; according to 2017 building codes. The multifamily units will be no less than 2 bedroom units and the single family 3 bed rooms plus. The multifamily units will have an average living space of 1000 square feet. The single family units will have an average living space of 1400 to 1600 square feet. CORI LLC is targeting the south side area of Columbus along south high street. These units will be Columbus best rentals and ready to move into by early summer 2017. CORI LLC can help you find OH rentals, leave your information on the form and a Rental agent from CORI LLC will call you back.